Living a Fit and Full Life: Outfit Baby this Summer with Adorable Clothes from Zutano! Outfit Baby this Summer with Adorable Clothes from Zutano! Welcome to the colorful, whimsical, and uniquely versatile world of Zutano. Located in the quiet hills of Cabot, Vermont, we are inspired by babies every day. One of the most beloved and influential brands in children's fashion and a leader in exciting design innovation, Zutano incorporates brilliant colors and animated prints in its versatile line of young fashions to bring your child's personality to life. Our boys and girls clothing for preemies, newborns, infants, and toddlers is crafted from only the softest cottons, creating a line known for its superior quality in a rainbow of colors and prints that parents and kids adore. The result is an amazingly simple collection that gives mom and dad options with prints, patterns, and textures in both brights and neutrals that are easy to mix and match to create outfits with anything in baby's closet. Whether your child is bouncing, romping, jumping, or just napping, our clothing's comfort, fit, and function ensures carefree fun. From our bestselling sun hats to slip-on booties that actually stay on baby's feet—every detail from head to toe is of utmost importance and painstakingly considered. Through our clothing lines, we are proud to create a world of children's fashion that is sophisticated yet playful and fun yet functional. We are honored to design products that foster a deep emotional bond between parents and their babies during that most special time in everyone's life. As we expand our world, our innovative and exuberant approach to baby products is evident in every category we enter, from nursery bedding, décor, and furniture, to accessories, plush toys, socks, booties, shoes, beanies, sun hats, and colorful baby apparel. From our children to yours, we hope our collection will instill a feeling of playfulness, love, and creativity into the heart and mind of you and your little one. The Zutano sun hat has a wide brim and adorable chin ties. It is at-the-ready for protecting your little one from the sun all summer long. Great for having in your diaper bag when on the go for instant sun protection. Featured here in Navy & White Stripe. 100% Interlock cotton. Imported. 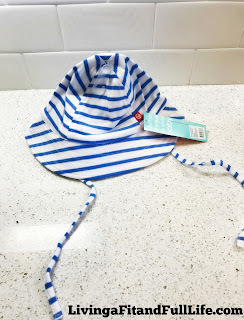 This versatile sun hat for baby boy mixes with many Zutano prints and is a great choice for summer fun! Featured here in our periwinkle candy stripe. 100% Interlock cotton. Imported. 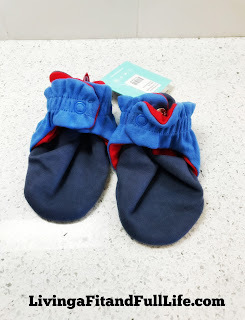 With a unique, two-snap design, Zutano booties stay on wiggly feet! These baby color block booties mix and match with all the different Zutano body styles and colorful Zutano prints! Featured here in a Navy, Periwinkle, and Red color block, these are perfect for mixing and matching! 100% Cotton. Imported. 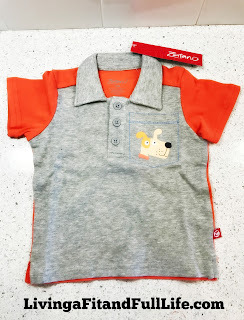 A classic boy styled polo shirt features 3 buttons, a collar, and bold colored short sleeves. The stylish front pocket features a puppy screen print, making this a staple piece for baby boys wardrobe. 100% Cotton. Imported. Big on style and comfort, big pocket shorts are made from Zutano's soft 100% cotton French Terry fabric with a faux button closure and an easy elastic waistband. Two functional front cargo pockets are embellished on the right side with a tiny contrast mini pocket, adding a whimsical surprise. Back patch pockets have another fun detailsa cute little grommet. A super choice for little explorers who like to stow things away! Featured here in our bright periwinkle blue. Imported. Our adorable henley bodysuit featured in our Ahoy print, has short sleeves and short pants with a cute button front collar. It has contrasting navy trim at the neckline and around the legs, and includes snaps on the legs for easy diaper changes. 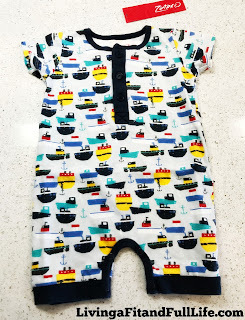 This one piece is an adorable summer or spring piece for boys! 100% Cotton. Imported. Outfit baby this summer with adorable clothes from Zutano! Zutano has an amazing selection of totally adorable clothing for babies. 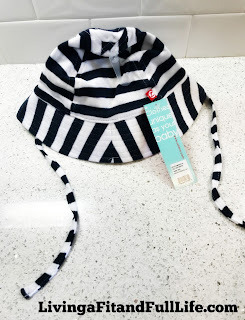 Zutano's Baby Sun Hats are incredibly cute and just what all parents need this summer to keep baby protected from the sun. I'm also totally in love with their Booties and love that they have snaps to actually keep them on baby's feet. My number one problem with booties is that they never stay on, so these are perfect! Zutano's Polo Shirt and Big Pocket Shorts go together perfectly and I love how soft and comfy they feel. I also really love Zutano's Bodysuits due to it being extremely soft as well as easy to put on and take off. 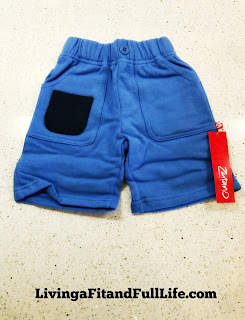 Zutano has a terrific selection of clothes that are absolutely perfect for little ones this summer! Click HERE to find a store near you that sells Zutano! Click HERE to learn more about Zutano! Follow Zutano on social media!